Carl F. Ingwalson Jr. - Mediator & Arbitrator based in San Diego, California. If you’d like a list of available dates for Carl Ingwalson, please submit a request below. Carl has over 35 years legal experience representing clients in a large variety of general business matters involving commercial, construction and real estate issues and related transactional work, litigation and dispute prevention and resolution. 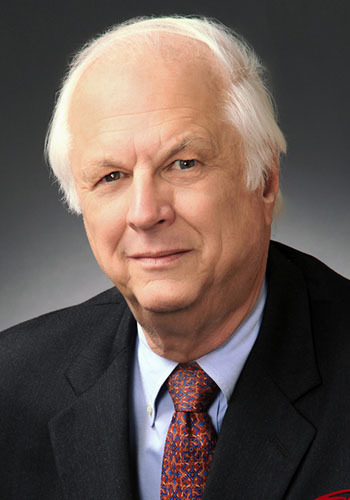 Since 1992, Carl has established a reputation as a respected neutral, and has acted as an Arbitrator, Mediator, Special Master, Judge Pro Tempore and Early Neutral Evaluator for the American Arbitration Association, the San Diego Municipal and Superior Courts and privately (approximately 550 arbitrations and 1400 mediations). University of Michigan School of Law (JD 1967). Basic (Arb I) and Advanced (Arb II), Construction Arbitrator Training. Basic Mediator Training (02/20/92-02/22/92, San Diego). Advanced Mediator Training, Stage III Processing (03/29/93, San Diego). Dispute Review Board Training (02/07/95, San Diego). Advanced Construction Arbitrator Training ( 08/12/96-08/13/96, Los Angeles; 07/14/97, Chicago). Advanced Construction Mediator Training (03/19/98-03/20/98, Vienna, Virginia). Advanced Commercial Mediator Training (12/16/00, Phoenix, Arizona). Advanced Commercial Arbitrator Training (08/25/98, Denver). Discovery & Motions (10/08/98, Orlando). LCCP 1 - Pre-Hearing Case Management (10/08/98, Orlando). Large, Complex Case Program Retreat (10/14/99-10/15-99, Scottsdale). Practical Aspects of Mediating the Multi-Party Construction Dispute, Preparation and Pre-Mediation Issues in Construction Disputes, Update on Uniform Mediation Act, Leveraging Insurance Issues: The Mediators Toolbox, Mediating Public Sector Construction Disputes, Breaking Impasse: Specific Techniques for Construction Disputes, Dotting the Is - Minefields for the Mediator as Closer, and Ethical Challenges in Mediation (03/10/00, Denver). Complex Ethical Issues in Mediation; 04/30/99, Las Vegas. Hitting the ADR Jackpot: Successful Mediation Strategies; 04/30/99, Las Vegas. Challenging Arbitration Awards, 04/30/99, Las Vegas. Subcontractors Perspective and Issues of DRB-s, 10/03/98, Chicago. Contractors - Perspectives and Issues of DRB's, 10/03/98, Chicago. 2nd Annual Meeting and Conference, 10/04/98, Chicago. Owners' Perspective and Issues of DRB's, 10/04/98, Chicago. Legal Perspective and Issues of DRB's, 10/04/98, Chicago). Fellow, American College of Construction Lawyers; Fellow, College of Commercial Arbitrators. Past and/or present member, officer and/or director of the American Bar Association (ADR Section and Forum on the Construction Industry), American Subcontractors Association, American Society of Professional Estimators, Associated General Contractors, Association for Conflict Resolution, California Dispute Resolution Council, Construction Specifications Institute, Dispute Avoidance and Resolution Task Force, Dispute Review Board Foundation, and Engineering and General Contractors Association. Arbitrator. Mediator. Construction Arbitrator Master Panel. National Commercial Arbitration Training Faculty; National Construction Arbitration and Mediation Training Faculty; National Construction ADR Task Force (Subcommittees dealing with non-binding dispute resolution, mediation, arbitration, partnering, dispute review boards, and other fast track and site-based procedures; work completed 10/95); National Construction Dispute Resolution Committee (Chair, Rules & Procedures Task Force; subcommittees dealing with arbitration, mediation, partnering, dispute review boards, and arbitration rule changes;); San Diego Construction Advisory Council (1987 to present). American Bar Association, State Bar of California and San Diego County Bar Association (member, ADR Section, Chair two years; founder and member, Construction Law Section, Chair three years; member, Fee Arbitration Committee, Chair three years). $350 per hour for neutral services including study time (no charge for miscellaneous administrative, correspondence or travel time).